A Switch Axe akin to a blunt weapon. Lighter than it looks, it can be wielded with ease. 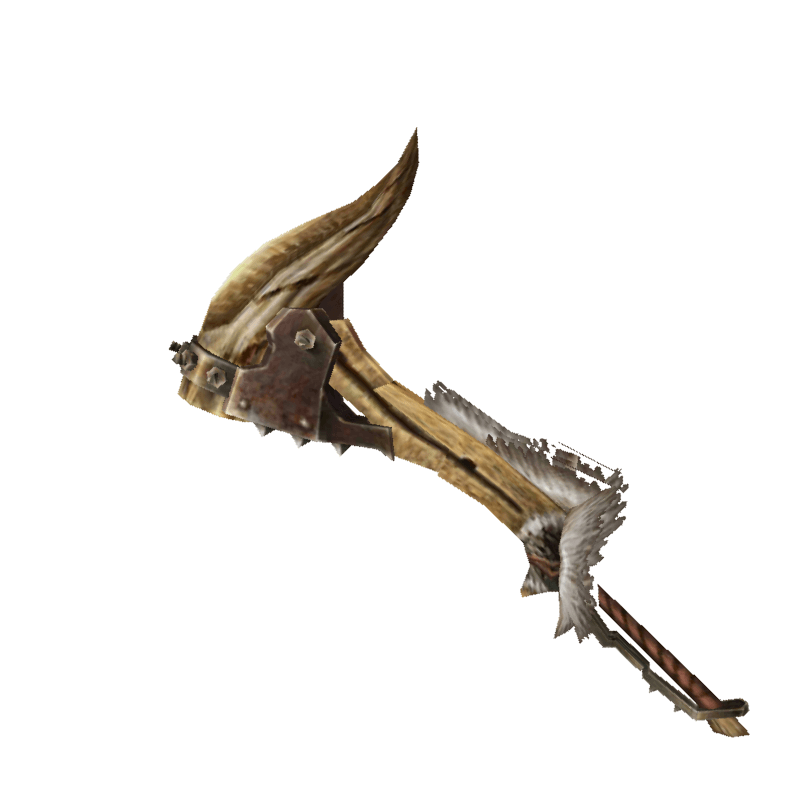 / The Wild Axe's final form. It uses the tusks of wild beasts to cut down its prey.